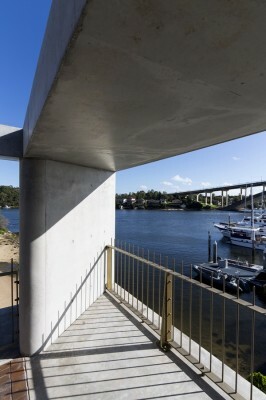 How ugly the shore-line at Gladesville has become; such that it presents few prompts or guides for new work! 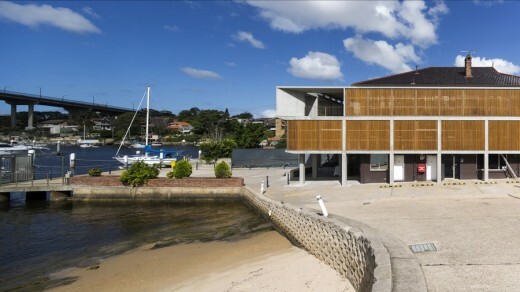 We have needed to imagine what would be an expression for a commercial marina building in this context. Our client required us to design an envelope of rooms to an existing building which at the same time maintained the continuity of marina operations whilst construction was under way. This building must at once appear as a fortress and be something that invites commercial activity. The sense of its boundaries is a significant consideration in the design and the northern façade brings forth an ambiguity of enclosure such that a completeness of expression is enjoyed at the expense of the logic of utility. The approach to the commercial marina and its entry sequence is therefore contradictory as per the brief. The building now has an unambiguous presence as a commercial building but where, at the same time, many tenancies exist; each tenancy having its own entry and discrete approach. This contradiction of public versus private was designed into the building as a strategy to maintain the formerly enjoyed informality of the uses in the context of a more commercial presence. The central commercial space sits above the public forecourt and is able to at once enjoy a position of ‘surveillance’ and ‘presence’ at the site. This room’s commercial requirement is to enable the necessary connectivity with the many boats it administers at its foot. The directness of the planned juxtaposition enables such surveillance to be done in a way which is both unambiguous and subtle. The topmost floor expresses a flowering plan in its columnar composition for the terrace to the caretaker’s apartment. This flowering plan represents a central focus with an outward expression toward the view seen from that level; here one can imagine invisible lines-of-sight moving outward from the centre of the terrace space, enabling the columns to diminish from view. Whilst this is the case from within the terrace, seen from the outside, there is also a sense of solidity at that level. 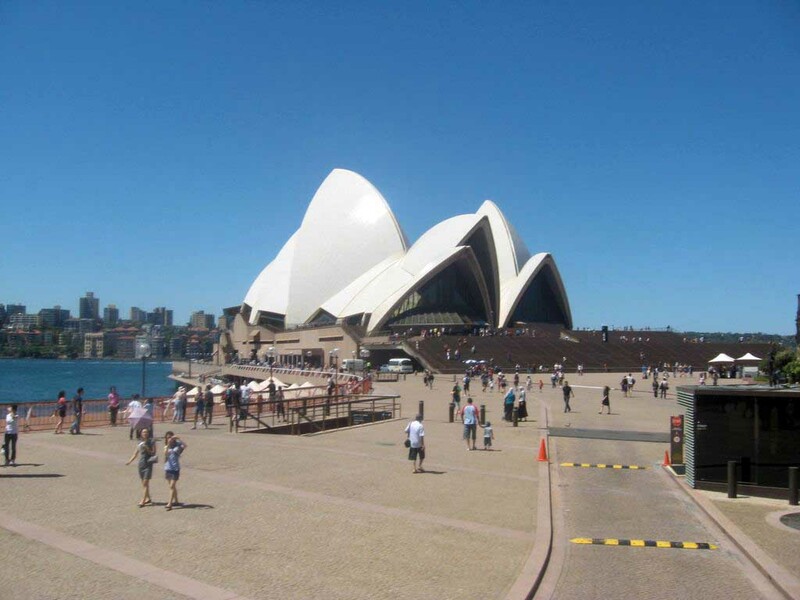 This solidity is conquered by sunlight touching the soft, curved and sharp surfaces which are built beautifully to last.